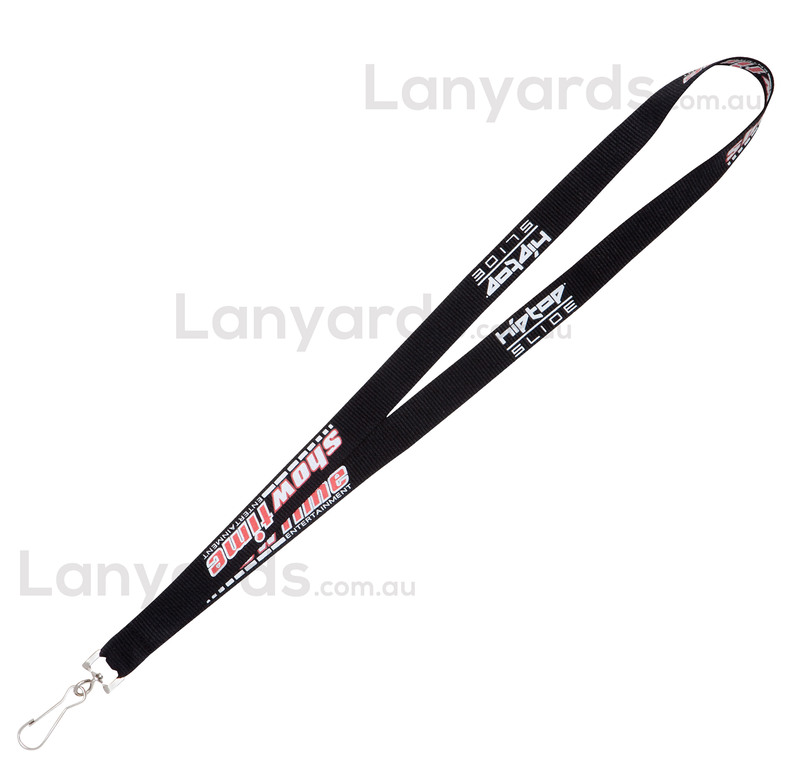 If you need wider branded lanyards, our 20mm ribbed polyester style is a solid choice. The flat ribbon means we can get crisp, clear results for your designs and the larger width allows for more complex logos. Great range of regular colours, though you also have the option to colour dye for orders of at least 1,000 branded lanyards. When worn on the neck these are highly visible and are perfect for a multitude of uses from security entrances to conferences and trade show identification.